I guess everyone will know the ALA reward results by the end of Monday next week. It is exciting to imagine what might wear those medals! As we take this day to remember the important life of Dr. Martin Luther King, Jr., I hope we all remember his words: Our lives begin to end the day we become silent about things that matter. Let us step up and use our words for good as he did! I've loved Neal Shusterman's books before and loved this one, too, written with his son, Jarrod, although this time I liked it a bit less and possibly because it was too real, too close to home. I live in Colorado where we often wish for moisture. This time the setting is a drought in southern California and the plot involves a group of teens who end up at the forefront of the struggle because, through events beyond their control, their parents cannot. There is what is called a "Tap-Out" when one day, turning the tap for a drink, nothing comes out. The entire water supply runs "Dry"! The stage is set, the players involve 16-year-old Alyssa Morrow and her little brother, Garrett, whose parents disappear because there is a possibility of getting water from the new ocean machines. Their neighbor Kelton McCracken was born into a survivalist family, well-prepared, but their protected home is not so safe when desperate neighbors come to call in a group (a mob)? Kelton has assumed leadership here when he sees the need also to help Alyssa and Garrett. Kelton leads Alyssa and Garrett to find their parents, end up in a heart-stopping situation, is saved by a street teen who joins the group. One more new teen joins in later on this dangerous trek to safety and water (Kelton's family's 'bug-out', a hide-out in the mountains). The book is interrupted once in a while by “snapshots” of perspectives outside the main plot while tension rises with some in the group wanting the power, and some wishing they were anywhere else, but have nowhere to go. A range of experiences with other people who are surviving and take chances in very different ways occurs, too, sometimes with alarming consequences. Descriptions of those near to becoming "water zombies" horrify, and acts of kindness feel very good indeed. It feels very close to our future in some areas. Great book, but often scary. First one in my #mustreadin2019 list! Thanks to Candlewick, I had fun reading this book out this month! 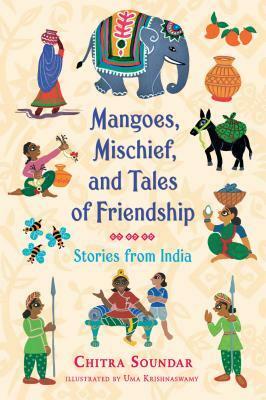 Main characters Prince Veera and his companion, Suku, a farmer's son who won a contest to become educated at the palace, are center stage in these delightful 'trickster' tales from India. They sometimes take over Veera's father, King Bheema's court where they hear complaints from the commoners and try to solve the problems and/or conflicts. And at other times they discover problems out in the market, even helping Suku's Aunt Chandra. The different problems will be fun to read aloud to see if students can figure out how to solve them as Prince Veera and Suku do. And the cultural names and experiences with new foods and ways of living add to the interest. I enjoyed the stories. Originally published as two smaller books, now out in this one collection. What a wonderful graphic novel that carries a continuing feeling of hope throughout. Every character deals with issues of self-expression and identity, even the king who really holds the power, but it feels like, through love, even he learns to respect that his son, Prince Sebastian, should be true to himself, despite any controversy. Following the story of Sebastian and Frances who, even in tough circumstances, remain who they are and accept the other with such kindness as allies, made me happy to see this important theme for all ages in a story. It isn't a simple story and there are bumps along the way, but Jen Wang manages through text and her marvelous art to show us struggles, along with love and steadfastness, too. Don't give up who you are! Brief and clear text tell all about elephants with exacting and gorgeous illustrations completing the explanations. Jen includes all the living elephants on our earth now but begins with the sad, but the incredible fact (in the author's note) that once there were more than 300 species in the elephant family. Now there are only two. The book includes some sub-species. There is a bit of whimsey added with that little boy wearing the red crown on the cover. He appears once in a while when needed! Jenni both educates and entertains in this book! 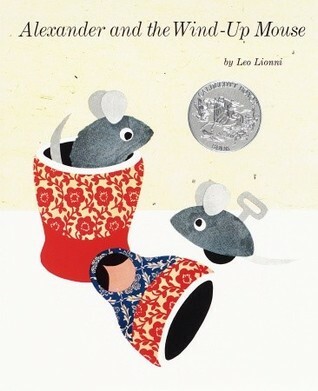 Leo Lionni's books will always be favorites, possibly because I love his collage art and also because Frederick is an all-time favorite story. This time, more mice, and a friendship story but also one that includes the theme of "the grass is always greener". For young readers to enjoy and to make guesses as to how it really is going to end! 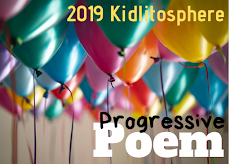 Starting: The Season of Styx Malone by Kekla Magoon. I just ordered The Season of Styx Malone. I really liked Princess and the Dressmaker, though not quite as much as others. I think I was a bit disappointed by the dresses, which weren't quite the confections I thought they should be! One of my students was reading Frederick this week and that made me want to revisit some of my favorite Lionni titles. Alexander is certainly one of those! 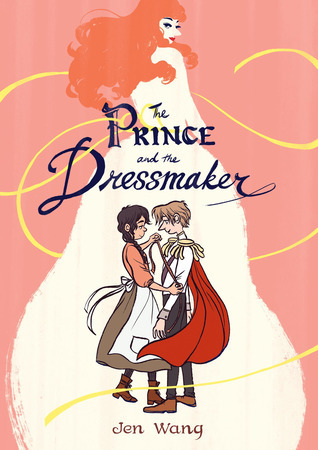 The Princess and The Dressmaker is one my older granddaughter is loving, too, a just right story because the younger granddaughter has a classmate who has transgendered this year. They were aware before of the choices by some, but this close-up story of another has been nice to read. Alexander is a new one, at least I don't remember it, but loved finding it at the bookstore. Thanks, I'm enjoying Styx Malone so far! The Prince and the Dressmaker is a book I have to get to reading. I loved Jenni Desmond's book about polar bears so I imagine The Elephant is amazing, too. Leo Lionni's books are some of my favorites, too. Have a great week! Yes, the polar bear book is great, too. I learned some things about elephants I didn't know from this new book, know it will be fun for students, too. 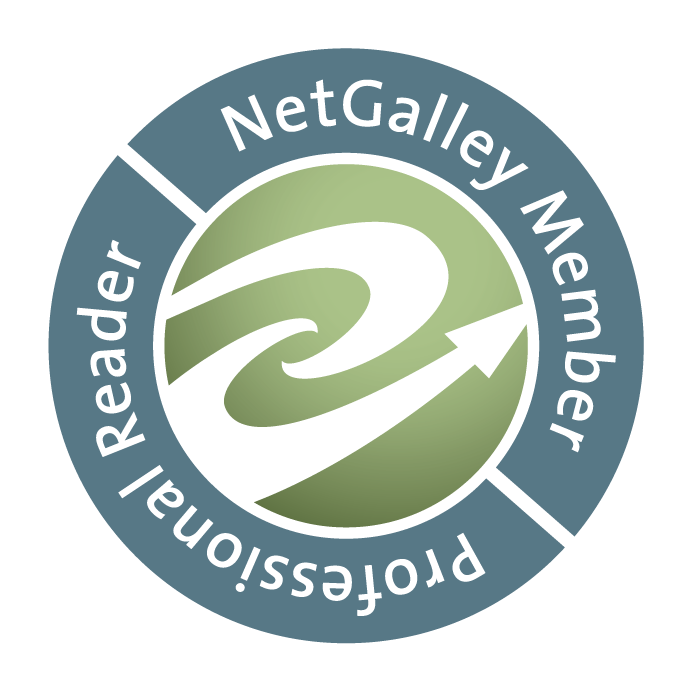 Thanks, Lisa, enjoy The Prince and The Dressmaker when you can! Requesting The Elephant and Alexander and the Wind-up Mouse. How is it that I missed this title? Never enough time. I also have The Season of Styx Malone from the library, but I just started Snow Lane. It is one I didn't know either, Ramona, or had forgotten! Enjoy both, fun reads! And I'm liking Styx Malone so far! Thanks! I agree with everything you said about Dry, Linda! What an exciting, disturbing, and thought-provoking read. I could easily see this one becoming a movie (and scaring the socks off most viewers). I seriously drank so much water while reading that one. Heehee! I currently have The Prince and the Dressmaker checked out and am looking forward to reading it! I hope you enjoy The Season of Styx Malone. Yes, we are both "thirsty" after that book. I couldn't put it down and then didn't want to pick it up, too close to home. Enjoy Prince and the Dressmaker and now I'm liking The Season of Styx Malone very much! Thanks! When we were first and second grade teachers, our class studied Leo Lionni - his sweet stories are timeless. We will have to check out The Prince and the Dressmaker. Kids love graphic novels so much. It will be great to have a more written as graphic novels. Yes, I agree about Lionni, often I want to re-read them just for the smiles. Enjoy The Prince and the Dressmaker, a lovely story. Thanks! The Elephant would definitely appeal to a lot of my readers who love nonfiction. I will have to check to see if I can get it for my library. Have a great week! Wasn't Dry hauntingly real? I love everything I have read of his. I agree with Shaye in that it would make a great movie! Yes, so, so real! I love Shusterman's books, too. Leigh Anne. A movie would be terrific. Thanks! Dry feels like it will be a bit to scary for me, but maybe it's just that I've just finished one apocalyptic novel and am reading another, nonfiction, that so far doesn't give me much hope for all of us. I read The Prince and the Dressmaker last year, but need to find a copy again as it is one of the Cybil nominees. Yes, if you're also reading a non-fiction book, maybe Sapiens? I understand about not taking on one more! I liked The Prince and The Dressmaker very much! Thanks, Cheriee! Oh, my son and I LOVED Frederick when he was younger! Good memories. And Neal Schusterman is one of my all-time favorite authors, especially his Unwind series. Dry sounds good also, though I agree - scary and maybe too close to reality! But that's what he's good at - frightening dystopian worlds that are much too close to our own. Thanks for the review - I definitely need to read that one. Yes, I love Shusterman, too. I'm looking forward to the final 'Arc of The Scythe' book. Hope you enjoy 'Dry' when you get time. Thanks, Sue! 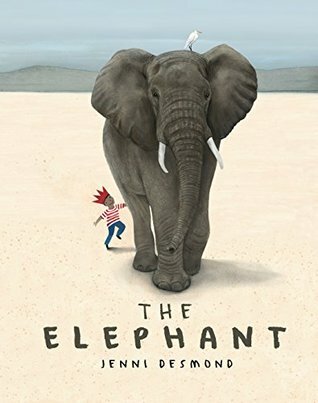 I had checked out The Elephant from the library but after reading half of it, I knew it was one I wanted to buy! 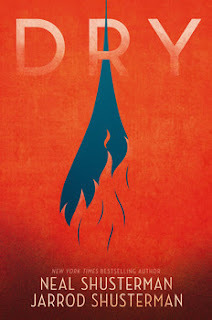 The first Shusterman book I read was DRY and I was absolutely blown away! So glad to add this author to my must read list! I can't buy them all, but if I still was teaching, The Elephant is one I'd be sure to get. I loved it. Hope you do find more from Shusterman. He's great. So glad you liked Dry! Thanks, Michele.